My sister Caitlin whipped this out while we were getting ready for our other sister Tia’s wedding. I had always been really curious to try this product and man, did it deliver! It made all of my regular makeup last all day and night through humidity, rain, and a lot of dancing. I will definitely be picking up my own bottle. I tend to ration this because it’s on the pricey side, but every time I use it I’m amazed. Even after one use, this makes me feel like I have a totally different head of hair. I also adore the smell. I’ve tried a lot of masks and this one is the best, by far. I rarely get the fresh masks when I go to Lush because I can be bad at remembering to use them before they expire. This is one of the new varieties and it sounded so perfect for my skin type that I had to grab it. I love the bright blue color, the fresh scent and the exfoliating properties. My skin looks and feels great after using it. Still cheaper than going for a facial and works just as well. 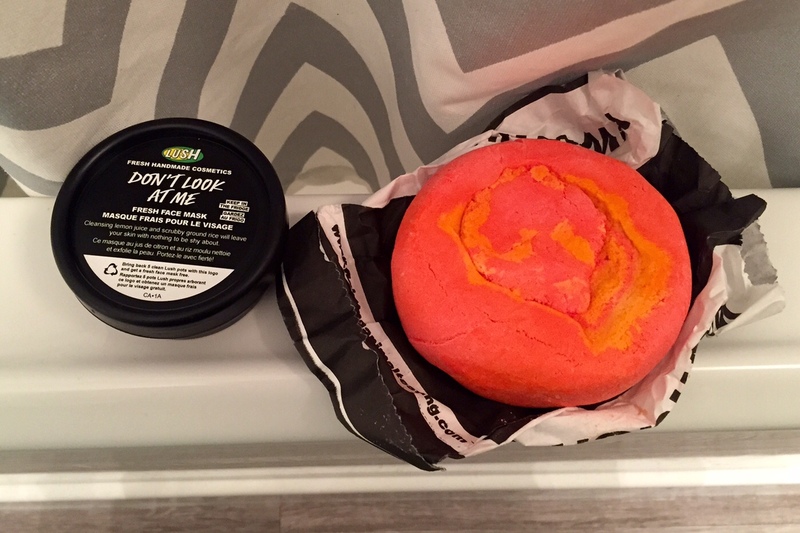 I love picking up a few bath bombs every time I go to Lush as a treat and I grabbed this one with my last haul. 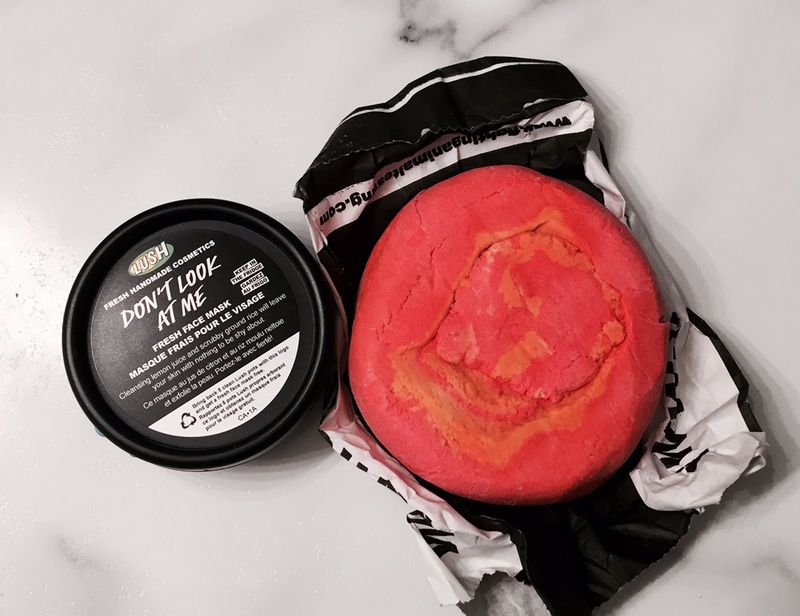 It turns the bath water into a bright orange hue and almost makes you feel like you are swimming in Koolaid. This gives a ton of bubbles and the citrus scent is really uplifting. It’s also huge; I cut mine in half and I still had a ton of bubbles!